"People have used flags for over 4,000 years. Authentic flag design of ancient peoples includes a metal flag from Iran, ca. 3000 BC, and reconstructions of vexilloids shown on ancient Greek coins, Egyptian tomb carvings, etc. The first type of flag was called a vexilloid. Vexillology is the scientific study of flags. This word comes from a Latin word which means "guide". First flags or vexilloids were metal or wooden poles with carvings on top. About 2,000 years ago, pieces of fabric or material were added to some vexilloids for decoration. These looked more like the flags we know today. A flag is a piece of colored fabric or material that is used as a symbol, or for sending a signal. Some flags are used only for decoration. Usually, flags are messages from a person or a group of people. People use flags to give others information, such as, who they are. Long ago, knights carried flags into battle because it was hard to know who the knights were when they were dressed up and covered in armor ready for battle! Flags were important because they helped soldiers tell their friends from their enemies in battle. Today, every country in the world has a flag. As governments change, so do their flags. Every state in the United States has a flag, too. Flags are used to give information, signals or stand for special symbols or things. Many organizations or groups like the Girl Scouts or the United Nations have flags. Clubs and organizations have their own flags too. The five circles of the Olympic flag represent the coming together of people from five continents in friendly competition. Peace is the message of the olive branches cradling the world in the flag of the United Nations. Some people, like a king or queen, have their very own personal flag. Sometimes it flies over any building or place where they are staying. Flags include symbols that are used to show ideas which would otherwise take many words. Flags are used for wars, as well as for the celebration of special events. On sad occasions, flags are flown at half-mast to honor the dead, and draped over the coffins of national heroes. One flag that almost everyone knows is the "White Flag of Surrender". Waiving a white flag is the international sign for surrender. Soldiers carrying or waving the "White Flag" are not fired upon. These "White Flags" are not made up in advance and are usually made out of any materials available at the time it is to be used. Another well known flag is the "Jolly Roger", used by pirates to frighten people. These flags usually had a black background which stood for "no quarter" or "no mercy will be shown to those who resist." Red - danger, revolution, bloodshed of war, courage, power. White - peace, surrender, truce. Green - safety, land, youth, hope. 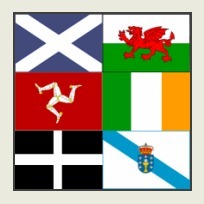 We are proud to offer all of the flags of the original 7 Celtic Nations plus 400 Country and Historical Flags. Don't see the flag you are looking for, let us know and we will add it to our catalog!" 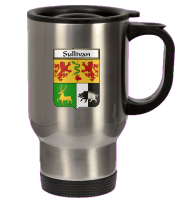 We provide three different products as part of our Celtic & World Flags portfolio. Mix and match the options to suite your needs. Our enhanced download product will be personally touched up by our studio graphic artist before delivery resulting in a full color rendition of the design image which is 3.5 inches by 5.0 inches. If you require an extra large version, we can provide up to 60.0 by 72.0 inches, just select from the dropdown menu. If you require a larger size then this, please contact us for a custom quote. Enhanced download designs are rendered in glorious 24k for maximum color and resolution. We can provide our download products in GIF, JPG or PNG formats for maximum compatibility. A transparent background is standard for GIF and PNG formats. Our design products are perfect for school projects, letterhead, email, website, newsletters and brochures. No shipping charge for this item - you will have instant access within several hours or it will be sent to you by email within 24 hours depending on the product you choose.